Cookies, campfires, skill-building and fun are all part of the journey, but changing the world? That’s the real destination! One adventure at a time, Girl Scouts learn, grow, and do amazing things. Unleash your inner G.I.R.L. (Go-getter, Innovator, Risk-taker, Leader)™! Introduce girls to awesome new experiences that change their perspectives and broaden their world. Be a mentor, a guiding star, a friend. Show them all that they’re capable of, and unleash their inner G.I.R.L. (Go-getter, Innovator, Risk-taker, Leader)™! Rising kindergartners can now join Girl Scouts! 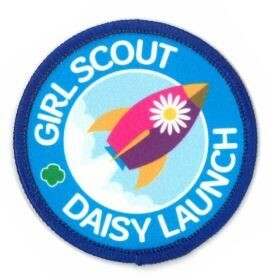 With the Daisy Launch Campaign, pre-K girl entering kindergarten in the fall can join Girl Scouts using our Extended Membership. JOIN NOW! Join Girl Scouts this summer and go on awesome adventures, make new friends, and start your Girl Scout journey before the business of the school year. Questions? Email us at customercare@gsmists.org.